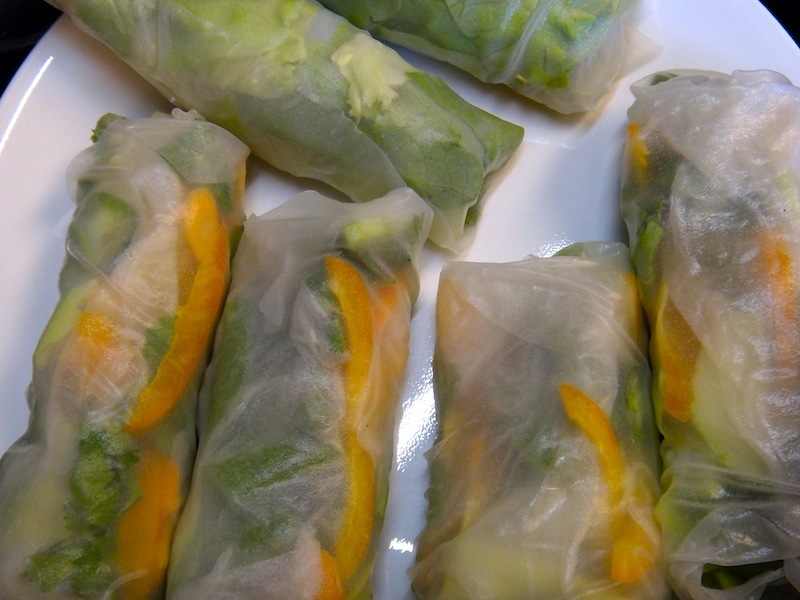 Anyway, making your own spring rolls are actually pretty easy, especially when you have someone to help. M joined me (as always) in the kitchen, and helped roll these bad boys up, cutting the time it usually takes me in half! Have a large pie plate handy, filled with hot water. 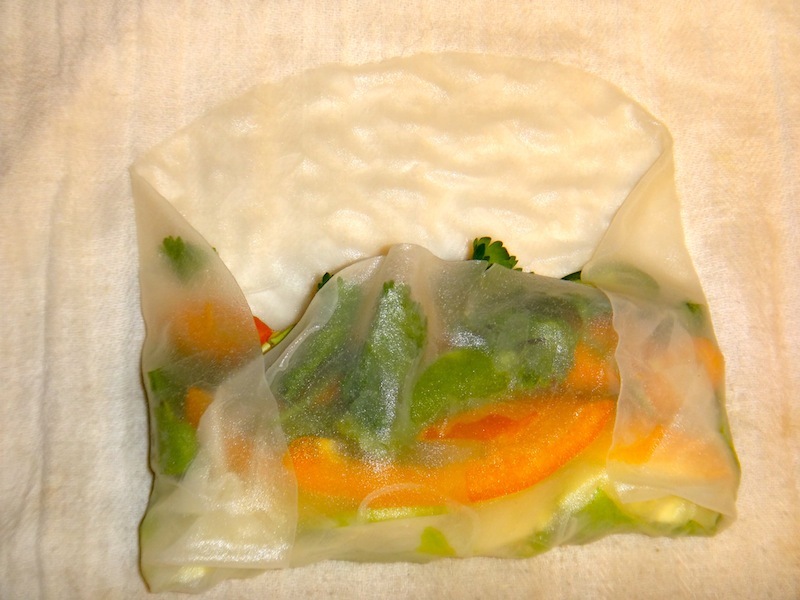 Place one of the rice paper wrappers in this hot water until it becomes translucent and pliable. Gently take it out of the water and lay it flat on a large kitchen towel. Then start assembling – start with the lettuce, then layer the noodles and other veggies on top. 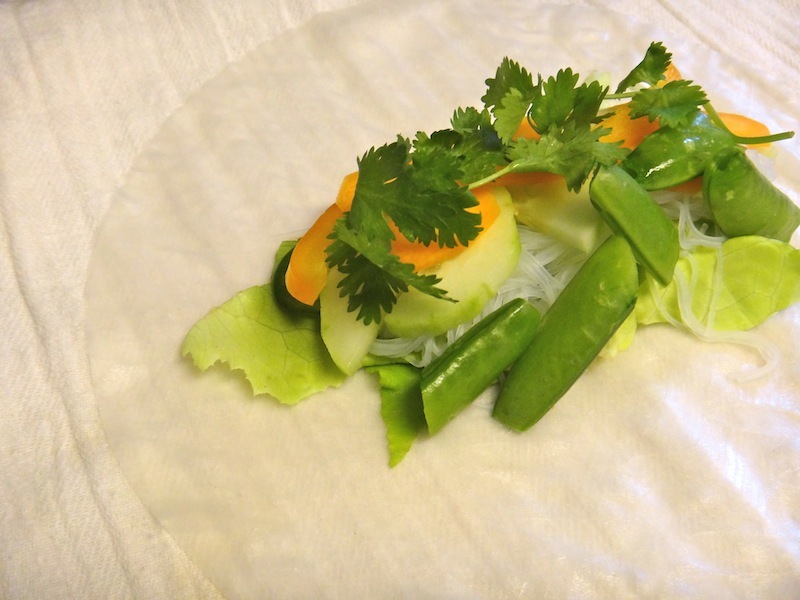 You roll it basically like a burrito – fold the bottom up over the veggies, then the two sides in, and finish rolling up, keeping it tight, but not breaking the skin. Repeat until you’ve used up all your ingredients! These can last in the fridge for a couple days, so I always make a large batch and have for lunch over the next day or two. Serve this with a peanut sauce (similar to what I used in my noodle dish, or the one I list below, slightly different in that it’s stronger and tangier). 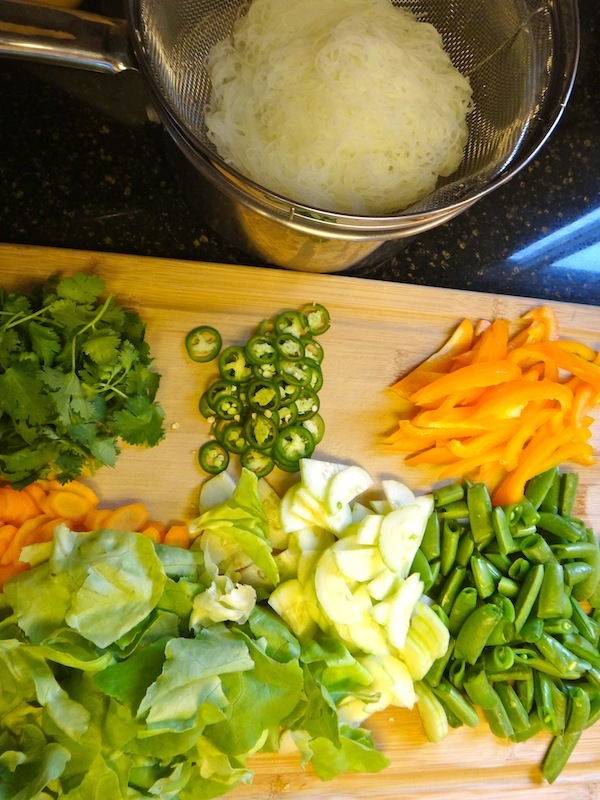 Process all the above (except the tofu) in a food processor. 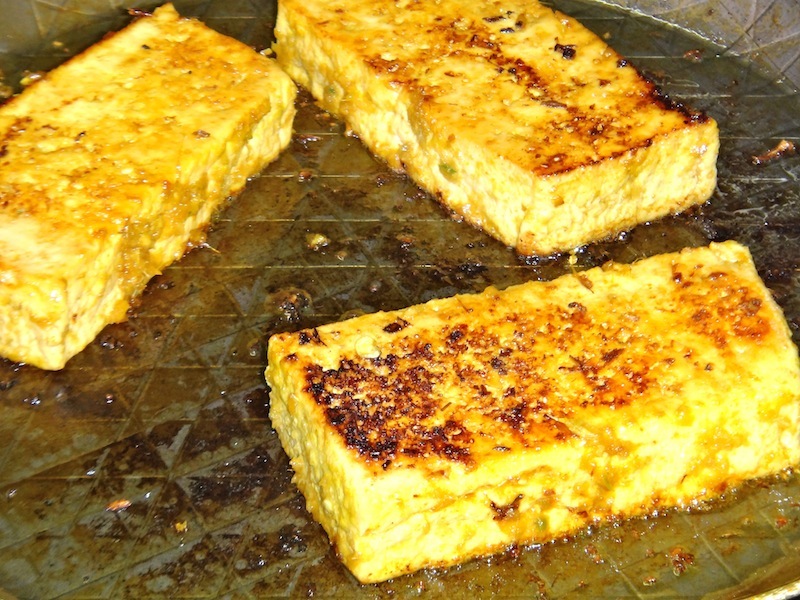 Marinate the tofu in this mixture (in a zippie or in a dish) for 1-24 hours. When ready to cook, either grill or cook in a skillet until nicely browned on both sides. Serve warm. 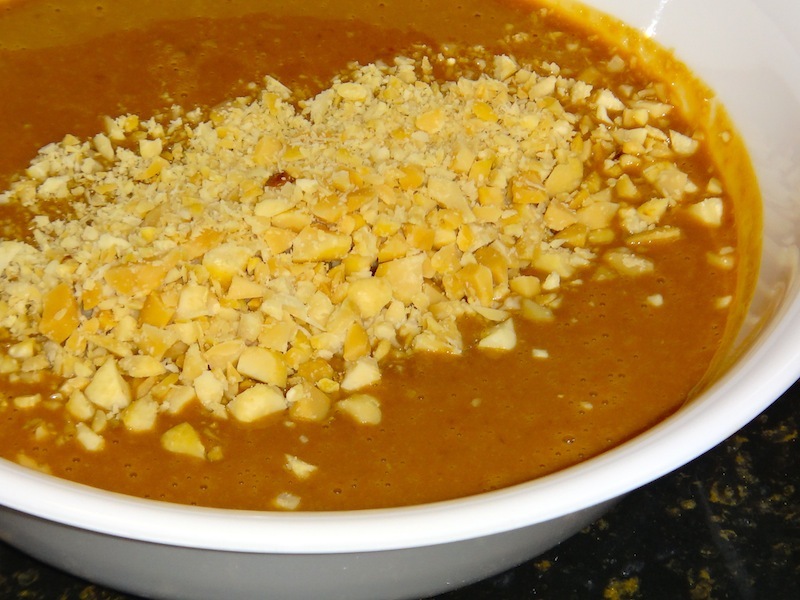 Place all but water in a food processor and puree, adding the water slowly to get the right dipping consistency. These look yummy!! I love me some Spring rolls too!! 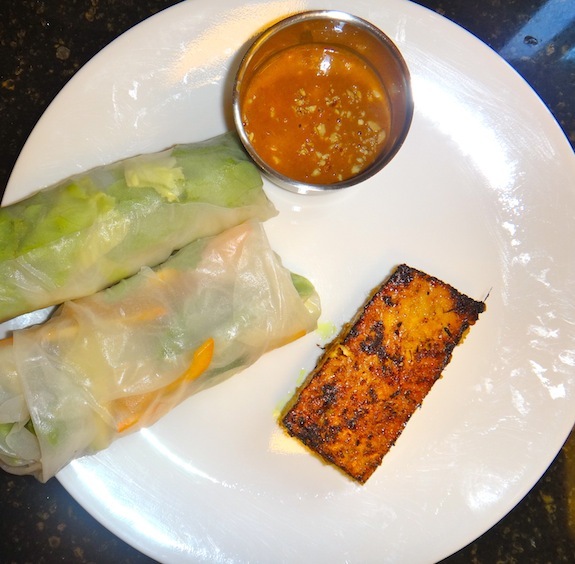 Joe made these and I had 2 for lunch today – would compete with anything you can buy! Absolutely delicious and I plan on making up a few Sunday evening to take for lunches to work next week. Yet again, another awesome recipe! Awesome! 🙂 They do make excellent lunches, and last probably 2-3 days in the fridge before getting too gummy.